My little guy is about to graduate kindergarten. I went to the store and for the life of me could not find a card that I LOVED. After endless searching I finally said w/e I'll make my own. I choose his favorite childhood book. 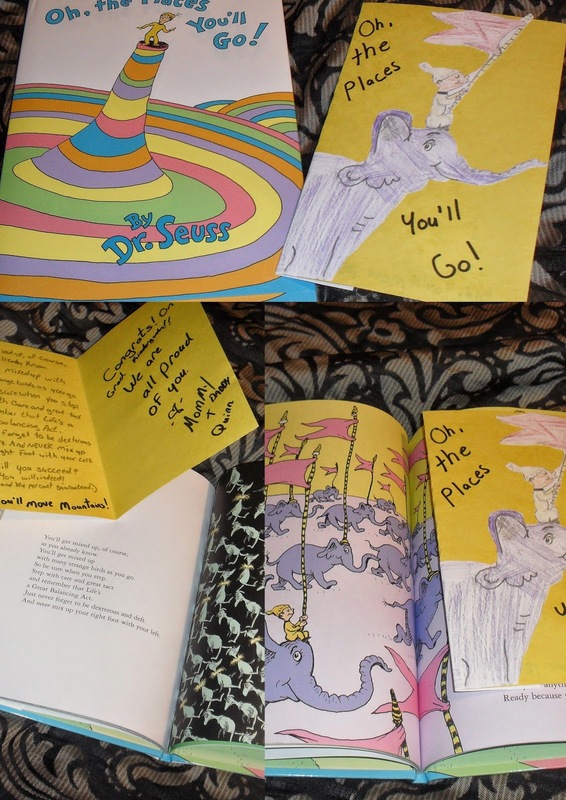 Not only is it his favorite book, but its also perfect for graduation... Well Kindergarten Graduation at least :). I took his favorite page and hand drew part of it myself. I then cut out the little man and elephant and glued it to the front of the card. You can see this, but the elephants body wraps around to the back of the card. Then finally I wrote I special message from our family to my little guy.